Tommy Tribble is the 25 year old editor-in-chief of The Rampage, formerly the opinion editor. Tommy is an English major, a writer, an aspiring novelist, and a Capricorn. He’s talented, or whatever, but mostly he’s just tired. Tommy’s passion in life is storytelling. He always imagined that passion would take shape as the dragons and swords of fantasy novels, or the androids and supernovas of science fiction. He was shocked to discover that his career at Fresno City College would lead him to fulfill the dream in another way: documenting the lives and experiences of students. Journalism, pure and simple. 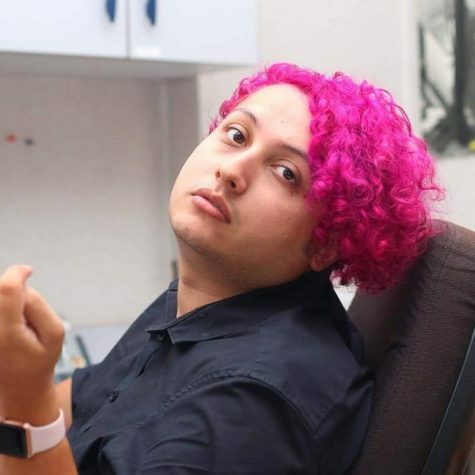 Tommy hopes his tenure as EIC will mean a Rampage that is queer, colorful, and welcoming to people of all kinds, especially the marginalized and the forgotten. He wants his legacy to be radical inclusivity. So basically he’s gonna wing it. He has an orange cat named Sora, and he’s working every day to buy him even nicer cat food and toys, and one day an apartment of their own. You can reach Tommy at [email protected] and on Twitter @tomiiwrites.